Which VR headset should you buy? It’s the question anyone who’s ever considered getting into VR has asked themselves, I know I have. Despite a huge amount of enthusiasm around VR it’s still proving difficult to work out which headsets are good, which are bad and what they require to work. What’s needed is a simple comparison between all the major headsets (there are more than listed here, but they are mostly copycats). Check out my comparison table and quick summaries of the most popular VR headsets out now and it might make your decision slightly easier. If you’ve just become interested in getting a VR headset you may not understand some of the terminology or what it means, so let me try and clear things up for you. Resolution: Again, the higher the screen resolution of your headset the better. Higher resolution screens are able to produce a clearer image and more immersive experience. Pixel Density: Many technology journalists consider pixel density to be a more accurate measurement of how clear a VR headset image will be. The pixel density is essentially how many pixels are visible in a square inch. The more pixels the less likely you are to see the individual pixels and the clearer the image will be. Screen Type: Most headsets utilize AMOLED screens which are considered superior to LCD screens. Tracking: This is a slightly more complicated subject, as some headsets are not designed to track your whole body and some can track you around an entire room. The PSVR uses a camera to track hand movements, however you’ll be limited to the wire attaching you to the system. The same is true for more advanced HTC VIVE and Oculus Rift, however these utilize more accurate body tracking. Some headsets are stand alone and require no wires or cameras, however these usually don’t allow for advanced body tracking. 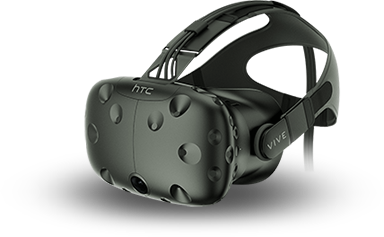 The HTC Vive is often considered to be the pinnacle of VR headset technology thus far. 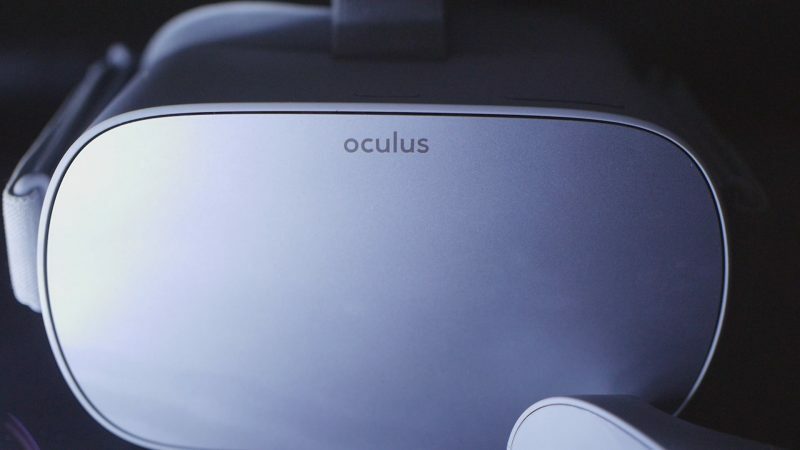 It’s been in a constant battle with the Oculus rift for best selling full headset. The Vive now has to compete with several other headsets (including it’s new big brother, the Vive Pro) which have some superior specs, however the Vive has a huge backlog of compatible games and software. The Oculus rift is the device that sparked the VR revolution and since Facebook took over development, has become one of the most popular headsets yet. The Rift utilized two AMOLED displays with an average pixel density. The Rifts main strength is the huge amount of games available on its ecosystem, which is even larger than the Vive. While you’ll need a fairly powerful PC, the requirements are not as extreme as some other headsets. The PS4 VR headset is proving to be a very popular option for VR enthusiasts, and developers are taking notice with a constant flow of new games. 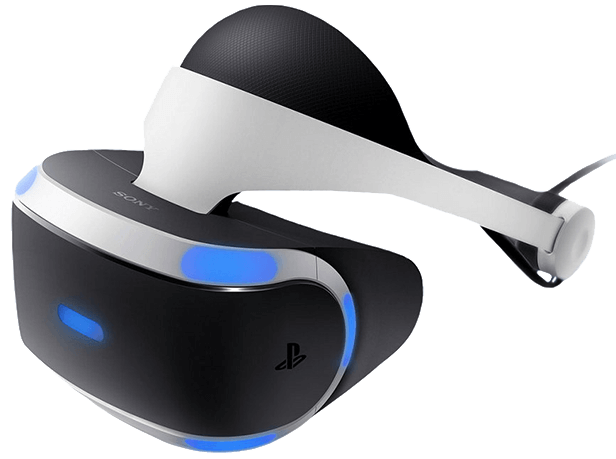 The PSVR is considered a less powerful but cheaper option, and it’s guaranteed to work with your PS4. If you already have this console then it might be a no brainer to at least try out the PSVR and see how you feel with it. While the headset itself isn’t too expensive, you’ll need the camera and move controllers for the best experience, which can make the full package a bit pricey still. 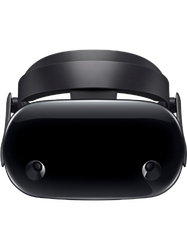 The Samsung Odyssey is one of a range of headsets designed for the Windows Mixed Reality ecosystem, which is essentially Microsoft’s way of getting into the VR game. These headsets are all designed to work with Windows PC’s and Laptops, but usually the requirements aren’t as high as other headsets. The Odyssey is the most adanced WMR headset yet and comes packed with one of the best screens and ppi of any VR headset. If clarity is what you are after then the Odyssey might be for you, however some have said the tracking capabilities are not as good as the HTC Vive or Rift. The Oculus Go is probably the best selling headset ever thanks to the famous name and low price. The Go is desigend to be accessable to anyone and doesn’t require a laptop or a phone to work. The first stand alone VR headset comes with a high resolution screen which makes for a pretty clear experience when vewing VR video or playing games. The low price makes the Go one of the best ways to get into VR but you need to be aware that it’s not the same experience as its bigger brother the Oculus Rift. The Go can only track your head and controller movement, this is known as 3 degrees of freedom and limits when you can do in the VR world. The Go is best used for viewing VR video and playing simple games and thankfully there’s almost an endless supply of such content on the Oculus Store.